While the holiday season is a joyous time for us to come together with family and friends, it can be especially difficult for many less fortunate individuals across the city of Toronto, and beyond. It is a season that carries with it a warm, fuzzy feeling for most, but as temperatures drop, many people without stable living conditions face serious hurdles. Owner and operator of Master Mechanic High Park, Josie Candito, is doing something about it. To help do our part, we have once again launched the #CommunityLove initiative to provide scarves to anyone that doesn’t have one this winter. Last year was such an overwhelming success and show of support from the community. In only three short weeks, together we put 1000 scarves in the hands of those that didn’t have them! A true testament to how great the need is for programs like this. We couldn’t have done it without our wonderful partners at Great In International, who got involved last year to supply beautiful scarves at a discount and have returned to do the same in 2017. With scarves purchased by our staff, Master Mechanic Head Office, NAPA Auto Parts, and generous members of the High Park community, we hope to surpass the benchmark set last year and make this an annual tradition of giving. Earlier this month, our first batch of scarves were hung up and ready to wrap around anyone that needs them. There are designs that appeal to men, women, and children to ensure everyone is accounted for and covered this winter. We are replenishing the scarves as they go, and will continue to do so while we have items to give. We’d like to thank local media outlets like 680News, City TV, and Radio Humber for shedding light on what we did last year, and helping bring more awareness and donations for the cause. The response to what started as a simple gesture has been truly remarkable, and connecting with some of the individuals that benefit from the program has been heartwarming. Watch the CTV News story, here, and share this story with your friends and family! “We understand life can be hard sometimes, but we need to be here for each other—especially in our own community,” said Josie Candito. We think it’s so important to continue supporting this initiative yearly because it provides those facing hard times with reassurance that others in their community care about them. 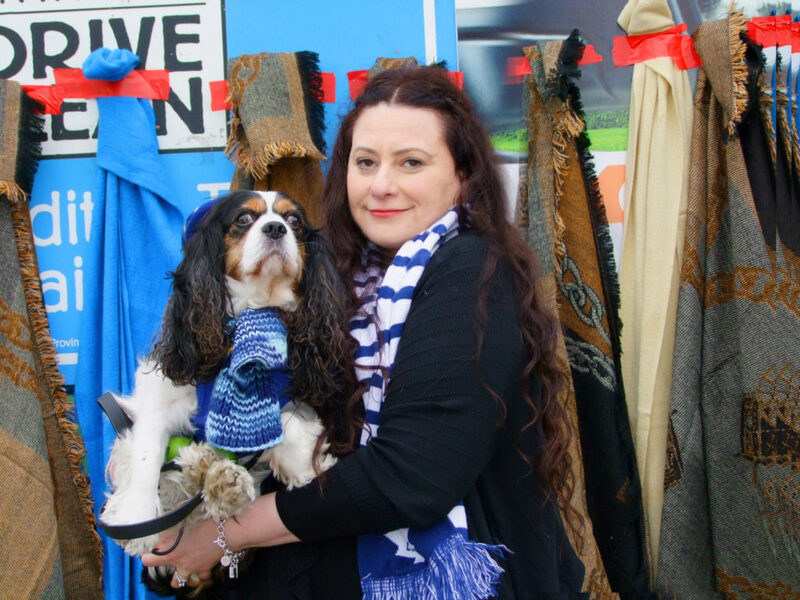 Providing open access to the scarves allows everyone to get one as they need them, and removes the barrier for people that aren’t comfortable asking for help. It’s something Master Mechanic High Park is proud to support and lead for other locations. From our family to yours, we wish you a happy and healthy holiday season! We encourage everyone to take a moment to do something to bring a smile to someone else. It goes a long way!